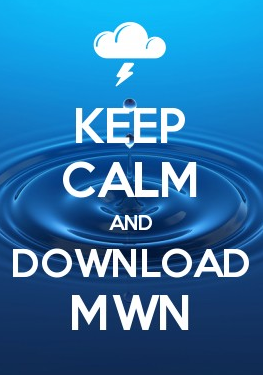 MWN Blog: So... is winter over?? 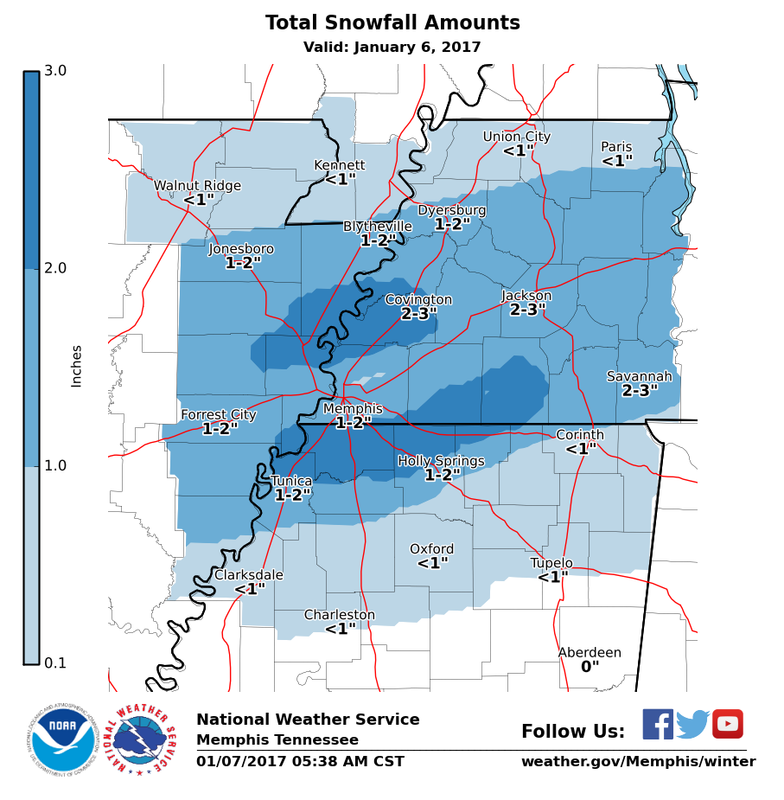 First, if you think this was a "year without a winter," you are only partially right. It's been a while, and the recent heat has probably seered some brain cells, but December had some very cold periods. 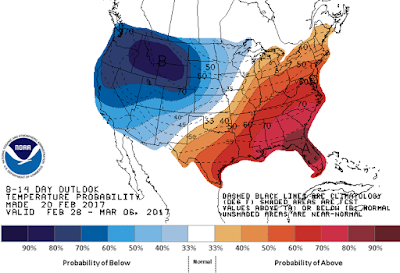 In fact, this blog spoke of at least three "Arctic blasts. Interspersed between some very warm days were multiple days with highs in the 30s and 40s. In fact there were low temperatures of 15° and 18° on consecutive days mid-month. Overall, December was about 1° above normal, mainly due to a few very warm days offsetting those cold ones. Remember this snowfall on January 6? We didn't completely skip over winter this year! 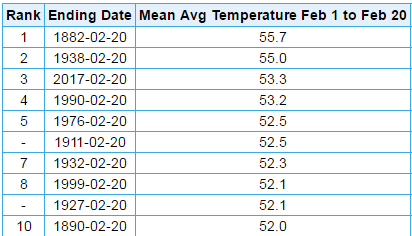 Top 10 warmest February 1-20 periods on record, according to NOAA. 2017 ranks #3. 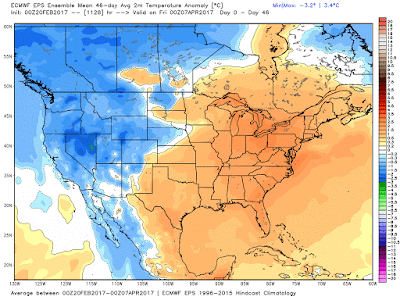 ...and the forecast models indicate well above average temperatures to close out the month, with the exception of this weekend behind a Friday cold front. Looking towards March, we have a few products that can give us hints on what's to come. 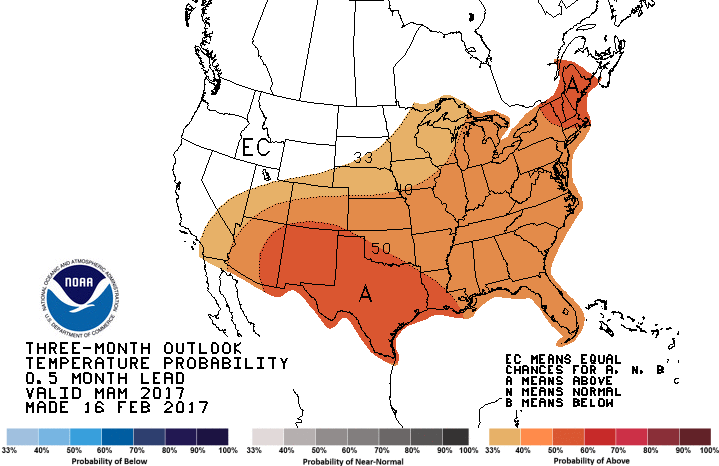 The first is NOAA's Climate Prediction Center outlook for days 8-14, which covers the first full week of March. 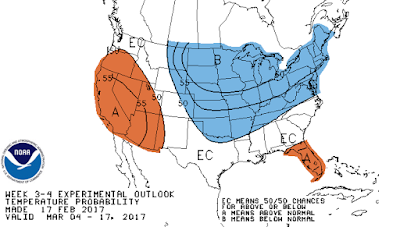 No signs of any cold blasts there, with a 60% chance that temperatures will average above normal and a less than 10% chance they will be below normal. The week 3-4 outlook, which covers the period through the middle of the month shows a bit more promise, but even slightly below normal temperatures for that time of year would indicate highs near 60 (not winter, but not 80° either). Finally, the NOAA temperature outlook for the entire month of March (issued last week), shows slightly enhanced odds of above normal temperatures for the month (first image below), while the March-May "spring" outlook indicates a decent chance of temperatures averaging above normal (second image below). Shifting from NOAA to the European model ensemble (basically the European model produced 50 times with slight variations and averaged), here is the latest temperature anomaly (departure from normal) map for the next 46 days (though April 6), also indicating above average temperatures east of the Rockies. 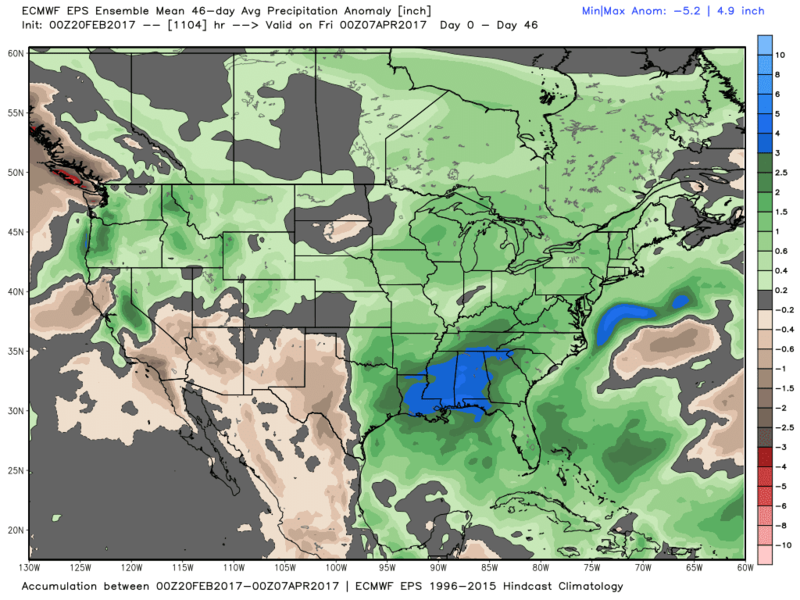 And just for fun, the precipitation anomaly for the same period, showing the potential for a wet 6 weeks in the southeastern U.S. 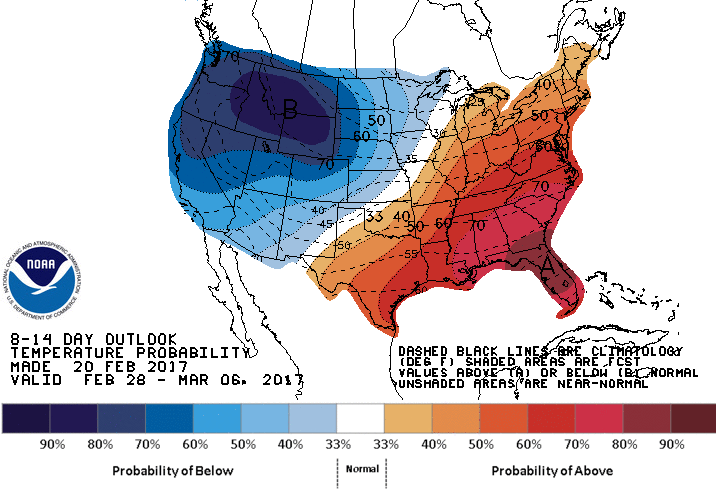 Does all this mean we won't see ANY more cold weather? Not necessarily. In fact, some areas will be back into the 30s again Sunday morning. However, it's POSSIBLE that the last freeze of the year has occurred in the city. 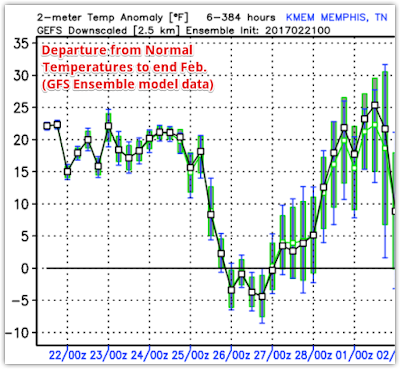 The average date of the last freeze at the airport is March 19, which is still nearly a month away. I certainly can't rule out that still occurring. Our last 32° reading was February 16, While that is very early, if there isn't another freeze, it won't be the earliest last freeze on record, which was set 4 days earlier, on February 12, 1878! The average last frost date is March 29, using 36° as a proxy for frost formation. There's still plenty of time for some 30s to affect the buds and blossoms that are arriving 2-3 weeks ahead of schedule, so if you have an itch to plant something, understand that frost, or maybe a freeze is still possible for some time yet. The USA-National Phenology Network tracks the start of spring using models based on the Spring Leaf Index. 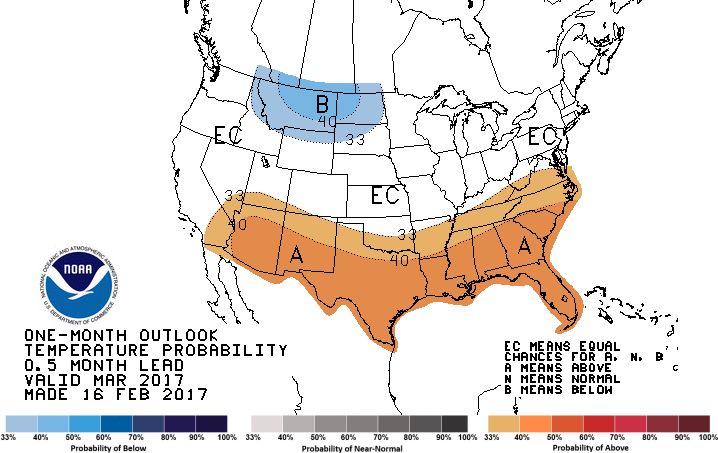 Shown above is the spring anomaly through February 20, indicating that spring arrived in the Mid-South 2-3 weeks ahead of schedule. So by all indications, spring has sprung and Punxsutawney Phil is #FakeNews! 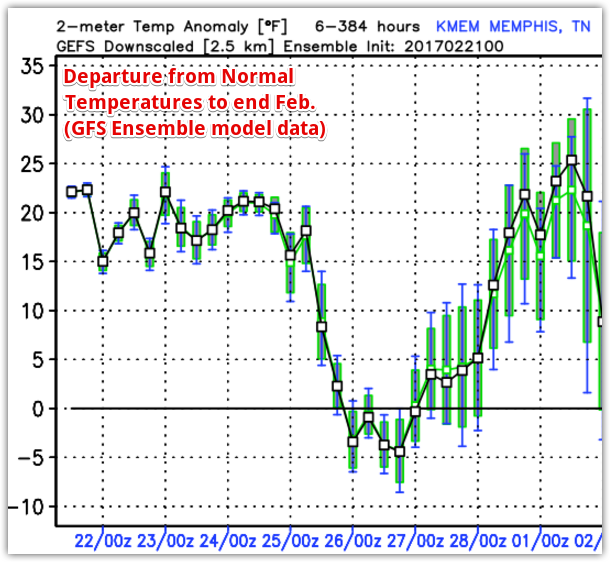 Just don't be surprised by a few chilly mornings mixed in with the occasional 80° day over the next month or so!